For the holiday season, we have prepared so many different specials that you're going to wish it's always December! An Advent calendar, in-game activities, and bonuses will be waiting for you. Check the portal every day and stay up to date with everything we have on offer! 1–12 December: For December, the Top of the Tree special is going to be slightly different. For one, the special is half a month long, and we've picked the FV215b (183) to give you one last chance to add it to your collection. Remember, if you have this vehicle in your garage when the new update hits World of Tanks, you'll also get the new FV217 Badger for free! 2–4 December: To be financially sound before the big discount wave hits the stores, we have prepared a special with the focus on a big mission with loads of credits as a reward. 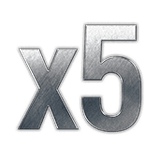 5–15 December: For two weeks, Tuesday to Friday, benefit from x3 XP for your first victory with each vehicle. There will be also a mission with little but useful rewards. 9–11 December: Starting small with a couple of discounts, bonuses, and a mission to get ready for the bigger specials happening at the end of the month. 23–31 December: It begins... the discount frenzy starts here! Amazing discounts on a huge variety of vehicles, Premium Account, and other services in the game. 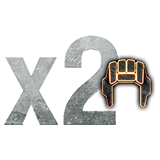 27–29 December: As you're currently stocking up on vehicles, use this x5 XP multiplier for two days to unlock more modules or even a new vehicle. Complete the special mission and receive a box full of tasty food! 30 December–1 January: The final push of discounts and bonuses. If you haven't found what you were looking for in the Happy Holidays special, this might be just for you. Enjoy!